I realized I totally forgot to share my last blog post on this blog. 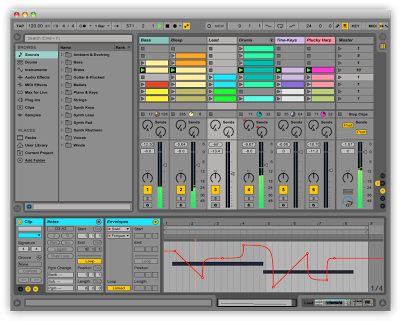 It outlines some of my personal workflow tips for getting things done more quickly Ableton Live. Anyhow, I’ll continue posting links here as I remember to! I typically blog for Sonic State once a month, and you can expect the next post within the next few days. Be sure to “Like” Sonicstate.com on Facebook, or watch their home page, as they post new blog posts to both. Watch your head bro! 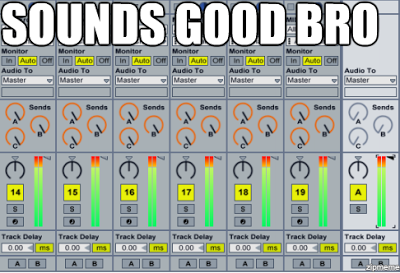 Generally speaking you want to maintain 3-6 dB of headroom when you’re working on a track. This means the master should peak somewhere between -6 and -3 dB. Why? Well in short: the closer you get to 0 dB the easier it becomes to inadvertently cause clipping. 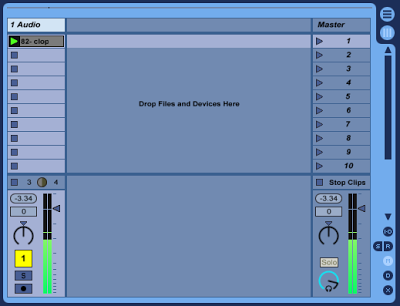 And unlike analog clipping, which can be warm and musical, digital clipping sounds bad. Very bad, bro. 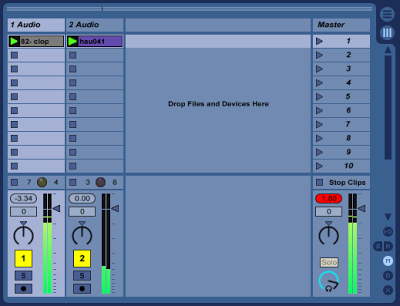 Increase the height of the mixer section to reveal two values: the value in the pill-shaped box is the peak level; the value in the rectangle is the fader level. 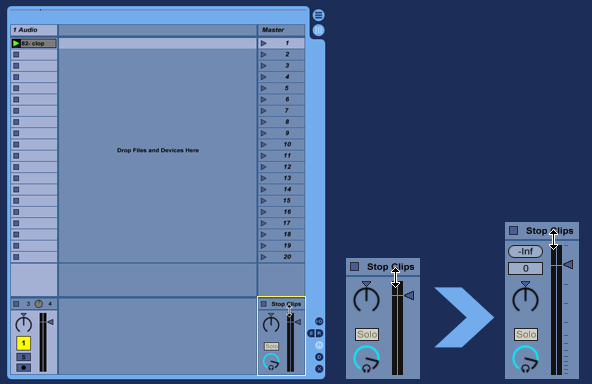 In the following example I have a single audio loop playing. As you can see, with just this one loop I’m already hitting -3.34 dB. 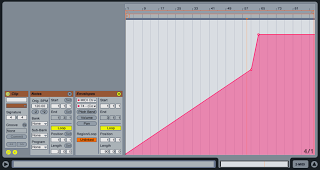 As you can see, by scaling my levels every time I add something to my track it’s easy to maintain a consistent 3-6 dB of headroom even before the track is completed. A common problem with volume automations is that, traditionally, you’re forced to wait until you’ve fully mixed your track before adding them. Why? Because they work on an “absolute” basis and not a “relative” basis. That is, an automation from -8 to -5 dB will always do just that — even if you move the fader in an attempt to adjust your levels it will jump back to the automation levels as soon as you click “Back to Arrangement”. Now your volume automation will work relative to the mixer, so in the example above it would be a “3 dB boost” instead of a “sweep from -8 dB to -5 dB”! Some might say it’s best to not worry too much about headroom while writing, and to do a full mix-down at the very end (that is, bring all the faders down and mix from scratch). While I won’t argue with this approach, my philosophy on this differs. Obviously you don’t want to get side-tracked mixing your track before it’s written, but if you’re cognizant of your headroom while you’re writing it will be that much easier to mix in the end. Don’t get me wrong, I started off with vinyl and I still love it, but I just sold my turntables in favour of a DJ controller to use in conjunction with Ableton Live! Not spending half of my time focusing on beat-matching opens up a lot of mixing possibilities. For example, if I wanted to mix a dozen tracks at once, I could. I don’t want to, but I could. More realistically, I can mix in bits and pieces of tracks that I may not want to play in their entirety, while doing a conventional two-deck mix and applying a healthy dose of filters and FX to create some additional movement, suspense, etc. 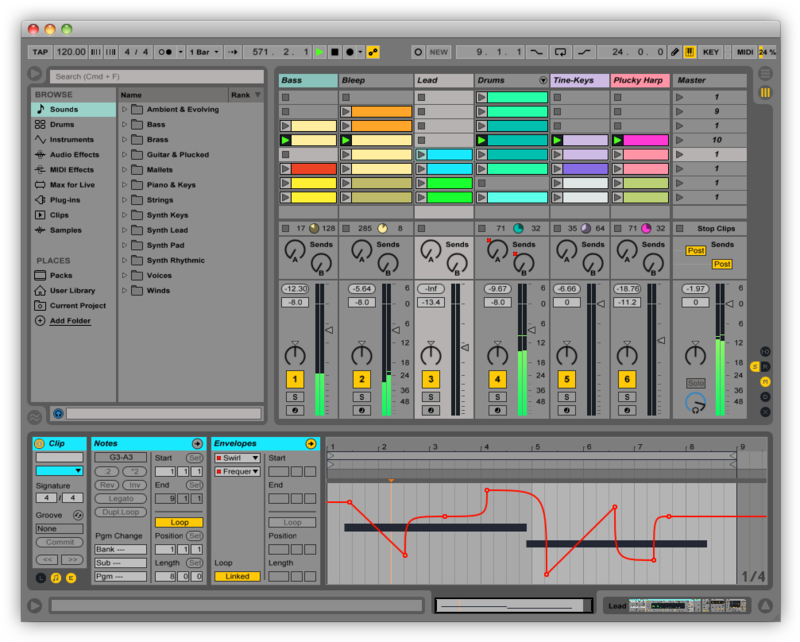 Another advantage is that I can audition a track, in sync, in a split second. If it works I can start bringing it up in the mix right away. Looping a track is just as easy and it’s always in sync with the master tempo. On a side note, something I’ve become completely addicted to is harmonic mixing. I used to do this instinctively with vinyl but it took tenfold the effort to find records that mixed in key, since adjusting the speed of the record also adjusted the pitch. Using Live to do harmonic mixes is a dream. Not only can I key-lock tracks I can also transpose them on the fly with high quality algorithms.